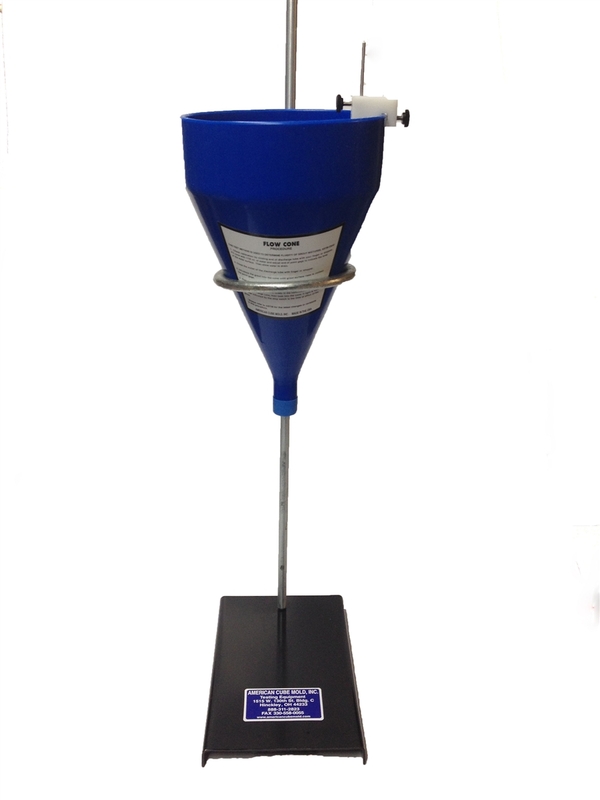 This unbreakable polyethylene cone with stainless steel orifice is economically priced, simple to use and cleans easily. 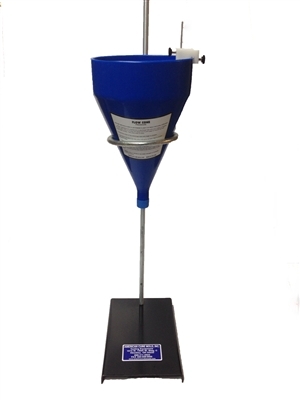 The ACM-FC-1K Flow Cone Set is for field measurements of flowability of fluid hydraulic grouts used in preplaced aggregate concrete. 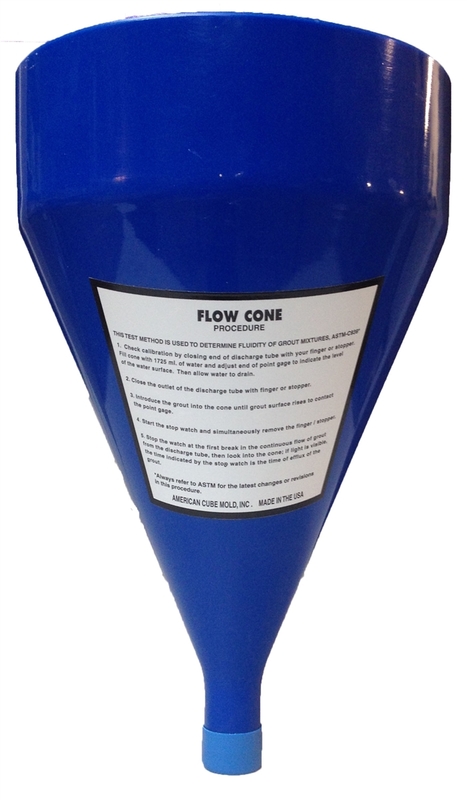 The flow cone method is for use with grouts having 35 seconds or less efflux time. • ACM-FC-01 – Flow Cone - 3/4” stainless steel discharge orifice with cap. • ACM-FC-R – Large steel ring with stand. • ACM-PG-1 – Point gauge level indicator. Also available with a 1/2” orifice cone (Conforms to ASTM C939). Shipping Info: 37” x 13” x 13” – 25 lbs.